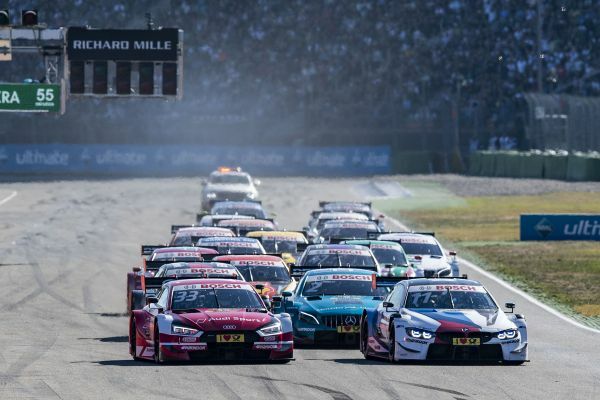 New-Year message for all the DTM fans: the start times for the nine race meetings of the 2019 season have been determined. All the 18 races held on Saturdays and Sundays respectively will be started at 13:30hrs local time. This also applies to the race meetings held abroad what means that the races contested at Brands Hatch, UK, will be covered on the continent – due to the time difference – live from 14:30hrs. Due to the great support programme, the schedules of the race meetings will be tight. The new W Series that will solely be contested by female drivers, the comeback of Porsche one-make series on the DTM platform, the Formula European Masters as well as further attractive makes cups provide the fans on-site race action galore. A fact that also makes an impact on DTM: in the future, the Friday schedules comprise two free practice sessions but on Saturdays and Sundays, teams and drivers won’t have the opportunity to go out for further free-practice laps. On both days, the drivers will have to contest the qualifying session in the morning and without any further preparation, what will add to the excitement. Only at Brands Hatch, where the race meeting comprises just as last year only two days because of local regulations, the well-known schedule – free practice session, qualifying session, race on both days – won’t be changed. German TV station SAT.1 will also cover all the races of the 2019 DTM season with its ‘ran racing’ team live. As it already was the case in 2018, the live coverage from the respective circuit will begin at 13:00hrs CEST (Brands Hatch 14:00hrs) with the track presentations, background features and interviews. The advance ticket booking for all the race meetings of the 2019 season already has begun. The tickets can be ordered at the official website, www.DTM.com/tickets. Formula European Masters, Audi Sport Seyffarth R8 LMS Cup, t.b.a.